Trading Terms & Conditions – information & Form download. Categories: Blackbilly, Specials, Under The Bar. Tag: Blackbilly. 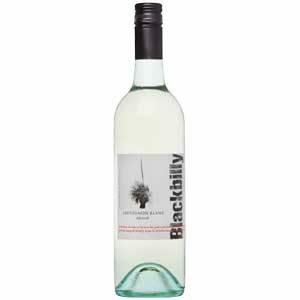 Here are some new release wines from our Blackbilly label, great wines in the continuing Blackbilly tradition. Colour: Bright and fresh with green colour and light straw tint. Youthful. Nose: An aromatic style with tropical fruit, ginger and light herb with a green apple edge. nuance. Dry yet fruity palate adds a deliciousness and a fresh clean finish. Colour: Medium straw green with a subtle ‘rose’ tint. Nose: Lifted aromatics reminiscent of nashi pear and citrus flowers and a hint of lemon. Nose: Fresh blue fruits with a touch of lavender and five spice. Fresh and jubey but not at all over-ripe. Palate: Medium to full bodied with a nice line of acidity complexed with interesting oak notes of vanilla, light cedar and a nice long, satisfying finish. Colour: Deep burgundy with a distinctive purple hue. Palate: Up front blue fruits, verging to dark cherry combine well with a solid mid palate highlighting light oak tannin and flavour. Distinct crisp, mouth-watering acidity keeps the freshness and appeal of this medium bodied style. Under the Liquor Control Reform Act 1998 it is an offence to supply alcohol to a person under the age of 18 years (penalty exceeds $8,000). For a person under the age of 18 years to purchase or receive liquor (penalty exceeds $500).